You know you’re a writing geek when you’ve cornered a casual friend and forced her to listen to a 20-minute sermon on your very favorite pencil. Guilty as charged, and the pencil–the one-and-only pencil for me–is the Paper Mate Mirado Black Warrior #2 Cedar Pencil. This is the pencil with the smoothest, darkest line. It gives the most tactile pleasure, and it looks elegant while doing it. It’s not even expensive. Have I mentioned I love this pencil? 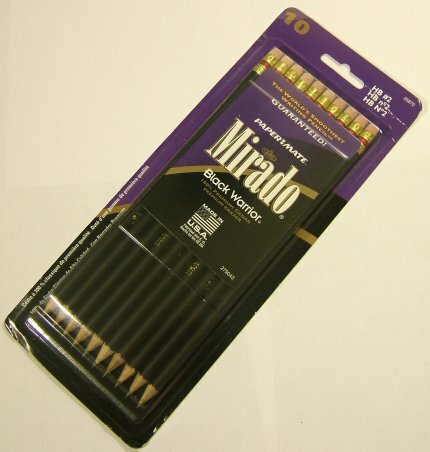 The Paper Mate Mirado Black Warrior #2 Pencil has a lot of fans. Writers and artists wax poetic about it, comparing it to the famous Eberhard Faber Blackwing 602, a discontinued pencil that was a favorite for such elites as animator Chuck Jones and writer John Steinbeck. Why do so many people love this product so much? Let’s start with pleasure–the body is made of incense cedar so the pencils smell good, and the black is far more elegant than the school bus color associated with most pencils. It looks like a pencil for grown-ups. The lead core has wax inside, which is supposed to make the pencil write more smoothly. It does. This pencil glides across the paper, and most writers can be very tactile when it comes to the practice of our craft. There’s no drag on this pencil at all. I also like the fact that it’s round, as opposed to hexagonal. It’s easier on my hands when I’m writing or sketching for long periods at a time, and I don’t find it harder to grip without the flat sides. I find it makes a nice, dark line, although some people feel that the line is a little light. 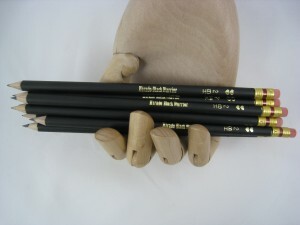 The Paper Mate Mirado Black Warrior #2 Pencil holds its own in more practical arenas, too. It’s easy to sharpen, it leaves a good, clean line, and it’s a little bit harder than your average pencil. This means that the pencil lasts longer, which makes up for the fact that it costs a few cents more than economy yellow pencils. The Pink Pearl eraser does a nice job in removing mistakes. I also appreciate the fact that these are usually sold pre-sharpened. I sometimes forget a pencil, and I won’t do the Sunday New York Times crossword without it. I’m happy to buy an extra pack of pencils for those emergencies, but it’s nice not to have to buy a sharpener, too. Some reviewers have complained the pencil, being round, rolls more easily when dropped. Others do not like the Pink Pearl eraser, which can leave messy pink pieces of rubber in its wake, and which contains small amounts of pumice that can sometimes tear delicate paper. I find the round shape easier to hold, so I’m willing to put up with an occasional runaway pencil, and I carry a plastic eraser for times when I need a more delicate touch. For most tasks, the pink eraser is perfectly adequate. The other concern here is that some reviewers have mentioned that quality has gone downhill in recent years because the pencils are now manufactured in Mexico. There were only a few mentions of this, and I haven’t noticed the difference, and I buy these on a regular basis. It’s something I’m going to keep an eye on, and I’m sure I won’t be the only one. A number of the pencil’s fans hoarded their supplies when this was temporarily discontinued, and consumer demand brought the pencil back. Here’s to hoping it stays strong. If you need a pencil that isn’t round, you might try the Dixon Ticonderoga Triangular #2 Pencil, which is another high-quality writing instrument, or the Ticonderoga #2 Soft Pencil, a hexagonal alternative. Both of these have generally positive reviews. If you’d like a less expensive alternative, you might try the Dixon Ticonderoga Wood-Cased Black Core #2 Pencils, which are the type of yellow pencils that are ubiquitous at any standardized exam. Of course, you might want to go high-tech and go for a mechanical pencil, and there are many fine alternatives there that are outside the scope of this review. 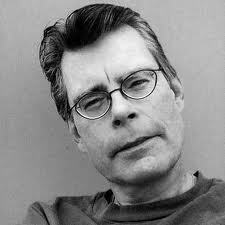 Horror author Stephen King likes the Mirado Black Warrior pencil so much that he featured it in his book The Dark Half. His main character was a writer, and that writer’s favorite pencil was the Mirado Black Warrior. True love is often illogical, but I think that the facts here back me up. The Paper Mate Mirado Black Warrior #2 Cedar Pencil is a superior writing instrument that’s an excellent choice for writing, puzzles, or sketching. It’s also an affordable luxury. We all need our little indulgences, and this is one of mine. Try it, and it may quickly become one of yours, too.